‘Seeking Humanity’ is an art exhibition by renowned Australian artist, Wendy Sharpe. It is not about politics, but puts a human face to those who have fled situations of great danger in their home country in search of safety and freedom in Australia. ‘Seeking Humanity’ is brought to you by the Asylum Seekers Centre. 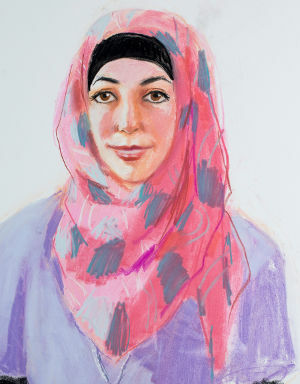 All portraits will be on sale with proceeds going to the Centre to help provide practical and personal support for asylum seekers. A selection will be included in the ‘Home/Front’ exhibition. This special charity exhibition by Wendy Sharpe is by courtesy of King Street Gallery on William, Darlinghurst, Sydney.